An Iraqi Kurd who was refused asylum, humanitarian protection and human rights protection in the UK has had an application for leave to appeal rejected. A judge in the Court of Session ruled that there were “no errors of law” which were “strongly arguable” and therefore the application fell at the “first hurdle”. 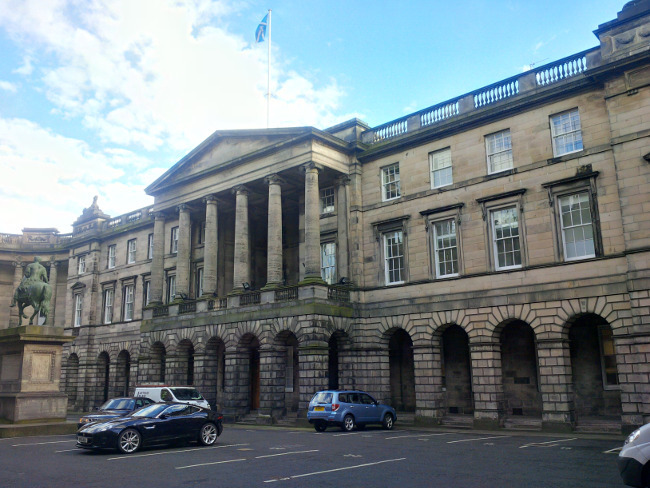 Lady Clark of Calton heard that the applicant Dari Mohammad Khedr, a national of Iraq from the Kurdish area of Iraq (IKR), was refused asylum by the Secretary of State for the Home Department and his appeal to the First-tier Tribunal failed after his account was considered to be “a fabrication”. An appeal to the Upper Tribunal on grounds which included a challenge to the absence of any consideration of country guidance that any return directly to IKR would need to be “precleared” by the authorities, and to the approach of the FTT judge who considered a return via Baghdad, was also refused. The Upper Tribunal judge considered that the FTT correctly applied the country guidance in terms of AA (Article 15(c)) CG UKUTR 544 (IAC) on the issue of preclearance and the requirement for proof of identification, and that the guidance was not subject to appeal on any material point. The appellant, having failed before the Upper Tribunal, sought leave to appeal to the Court of Session, relying on Rule of Court 41.57(2)(b), that there was “some other compelling reason for the court to hear the appeal” - often referred to the “second appeals test” as set out in Eva v Advocate General 2012 SC(UKSC) 1. Counsel for the appellant, Stephen Winter, argued that the Upper Tribunal was wrong in law in its approach to the issue of preclearance, and secondly that the Upper Tribunal erred in its approach by misapplying the law. Counsel for the respondent, Smith, submitted that the application was based on a “fundamental misunderstanding” of the difference between an immigration decision and removal directions. The Home Secretary had not yet committed to a particular method or route of return and thus the issue was hypothetical. In a written opinion, Lady Clark said: “In my opinion, the subtleties of the submission against a background of the different approaches by the Firt-tier Tribunal and the Upper Tribunal to the factual issues relating to preclearance make it very difficult for me to accept the submissions on behalf of Mr Khedr. “I am not persuaded that, in the context of this case, the Upper Tribunal has erred in law by failing to take account of AA or AK v Secretary of State of the Home Department (2007) I’m AR 81. “I accept that in presenting the case to the Upper Tribunal, the representative of the respondent appeared to accept that the only return in prospect was a return of Mr Khedr directly in keeping with country guidance. “Counsel for the respondent in oral submissions did not accept that this was a concession to the effect that a return to Baghdad is not an option open to the respondent considering return directions. She added: “In my opinion, this application falls at the first hurdle because I am not satisfied that there are errors of law identified which are strongly arguable.